Google is shutting down Allo, its cross-platform messaging app. The company is killing Allo to focus its efforts entirely on Messages, Google’s messaging app for Android phones. And so another Google chat app meets a rather disappointing end. The web wouldn’t exist in its current form if it wasn’t for Google. And yet the company has failed when it comes to social media. We have seen Google Talk, Google Buzz, Google+, and others all come and go. And now Allo is joining them in the Google graveyard. Google officially announced it was sunsetting Allo in a post on The Keyword. This offers an update on Google’s current efforts, and then sets out the company’s “focus moving toward a simpler communications experience.” But it’s still very confusing. 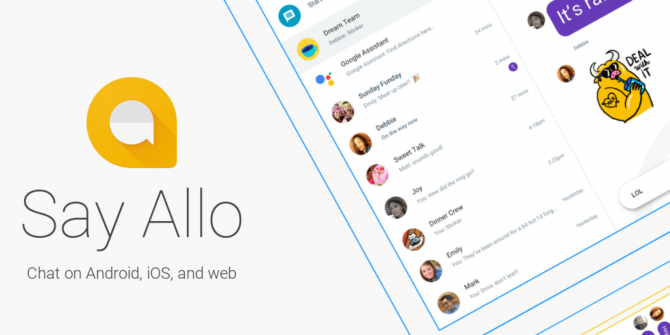 Allo will stop working in March 2019, as Google focuses on Messages instead. Google had actually already paused investment on Allo, and moved some of its best features across to Messages, so the end of Allo shouldn’t come as too much of a shock. If you have enjoyed any meaningful conversations in Allo you would like to save for posterity, you have until March 2019 to export your conversation history. Google has helpfully published some useful instructions on how to export your Allo conversations. Google’s decision to kill Allo in favor of Messages is understandable. Allo had failed to gain traction, while Messages is being used by hundreds of millions of people every month. However, Google’s strategy of throwing apps out there to see what sticks is frustrating. While half of this article has now been rendered pointless by Google’s swinging ax, you should still read our beginner’s guide to Google Duo and Google Allo A Beginner's Guide to Google Duo and Google Allo A Beginner's Guide to Google Duo and Google Allo Allo and Duo are Google's newest chat apps. Here's a beginner's guide to help you get started with this great combination. Read More . Duo seems to be safe for now, with Google promising to make more improvements to it in the future. I use Google products, and I would consider using Google Messages -- if Google can figure out a way to receive and send carrier texts. But right now, it can't. Until this changes, it's idiotic to use Messages to read/send instant messages while needing a separate app to read/send carrier text messages -- when there are plenty of Android apps that can do both right now (like Textra)! C'mon Google! Get your act together! Doesn't Google Android Messages send and receive carrier SMS? It only does SMS/MMS - unless there's something different going on for people in the states? It makes no sense why they would kill a cross platform data based messaging service to replace with a system default sms app.